If they knew our stories, they would behave a different way. They never sat around my small fire cracking almonds. They don’t know I have a great sense of humor. the broken plate, the strip of cloth. I don’t care who owns it, it’s mine. They just do not know. or a paring knife for seeing inside. My Palestinian father, Aziz Shihab, was a newspaper journalist most of his life. Though generally a congenial, gracious spirit, he was highly annoyed by headlines that didn’t actually fit their stories—a more common predicament for print journalists than many might believe. He resented poor grammar—in English or Arabic—and was exquisitely careful with his own. And he was saddened by displays of inequity and small-mindedness—in society, religion, politics—and the ongoing false spins about the “great democracy of Israel,” when his own family had lost their home in Jerusalem in 1948 due to the occupying Zionist soldiers. It was all a sell-out: money, guilt, power. Why couldn’t a balanced country have been created instead, one which recognized that Palestinians were already conducting themselves and their precious lives on the same soil (do not for a minute, please, believe the empty desert-before-their-coming myth which Zionism has repeatedly tried to perpetuate)? It was a lifelong grief for him and he did everything he could—speaking, writing, advocating—to try to balance the “dark matter” of lies. Why couldn’t we more easily imagine one another’s lives? Why was empathy so difficult? Former President of Israel Shimon Peres once said what surprised him most about getting to know Palestinians was, “that they had aspirations like ours.” Well, why wouldn’t they? Do I in my Texas home two hours north of Mexico imagine mothers across the border don’t love their sons as much I love mine? Since when did human imagination become so parched and puny? Many regular citizens of Israel are able to appreciate Palestinians as human beings with traditions, skills, incredible patience and intelligence—and vice versa. Consider hospitals. Consider Hand in Hand Schools. Consider the fascinating and balanced-power Neve Shalom village, etc. Why can’t politicians with tons of cash behind them imagine a wider horizon of shared lives together, as regular citizens can, and do? Can anyone even imagine what a tremendous glowing society that might be? And how would this single shift change the sizzling, awful, underground energy of “terrorism”? The current crop of Republican candidates, with their righteous spouting of devotion to Israel (never considering all the crimes against humanity Israel conducts on a daily basis, or the regular massacres of thousands of innocent Gazans, with American weapons, which gets almost zero press) would have disgusted my father. He would have turned his face away. I am almost glad he died so he didn’t have to hear them. 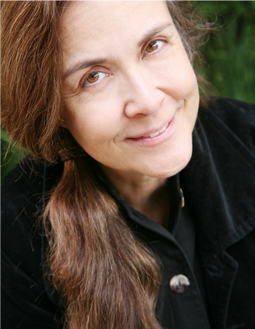 Naomi Shihab Nye - Naomi Shihab Nye's most recent books are The Turtle of Oman (Greenwillow), a novel for children, and Famous (Wings Press), a single poem illustrated by Lisa Desimini. She has written or edited thirty-five books and been a “visiting writer” all over the world for many years.